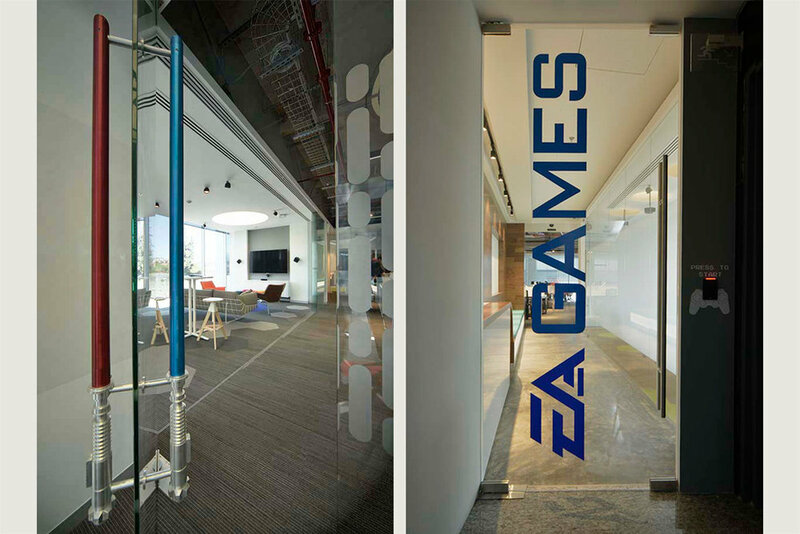 MEXICO CITY, MEXICO Designing offices for EA Games promised to be a fun project filled with creative architectural solutions. 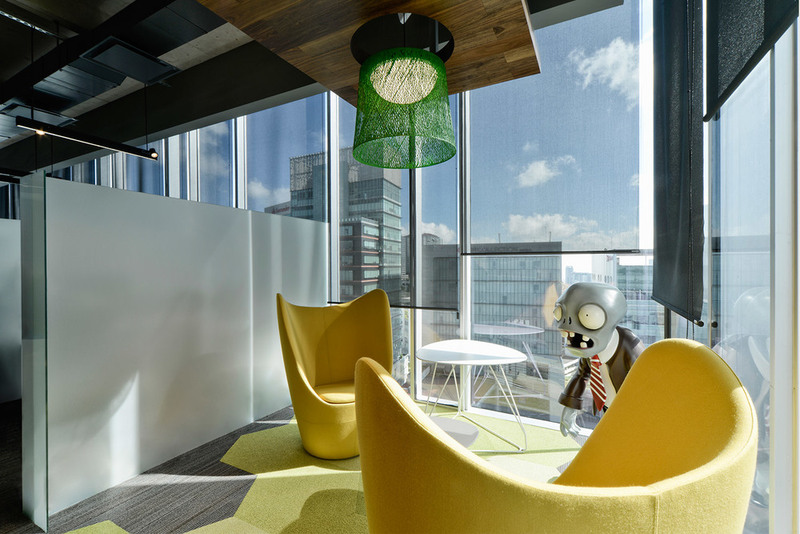 The design team emphasized the characteristic franchises of games such as Star Wars, Plants vs Zombies, and FIFA by highlighting their playful environment without being too literal or thematic. Some of the innovative features included a Newmat special ceiling designed to look like a Star Wars Death Star window, light saber door hardware in stainless steel, and Herman Miller’s classic furniture selection that felt like it was part of the movie set. 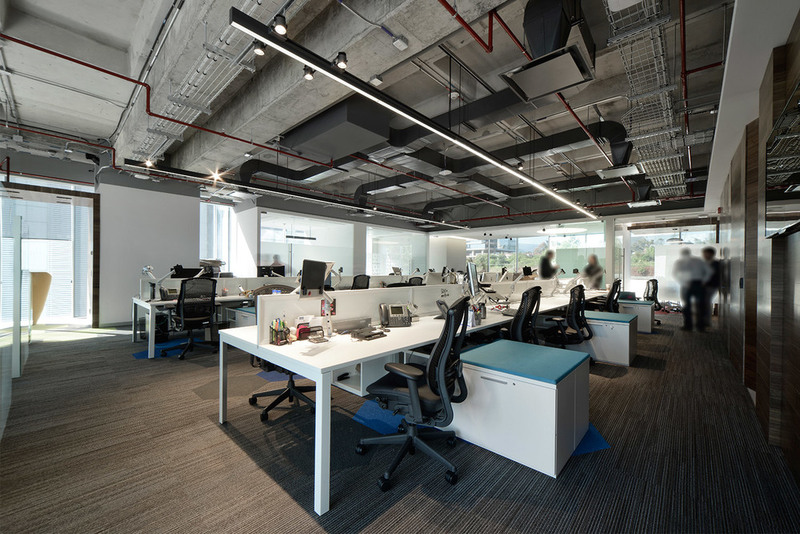 It was a challenge to design this corporate office to convey both a sophisticated and yet playful design concept. The FIFA room’s ceiling design mimicked little football holes, and the Shaw carpet was designed to look like a grass field by using different hues of green hexagons. In homage to Plants vs Zombies a fiberglass figure of an “office worker zombie” wearing a suit and tie became an important piece for the office. In this space, the vegetal look of a Herman Miller chair – “Lounge Flower by Magis”—complemented the concept. While the project was not seeking specific sustainability certification, KMD’s commitment was to select materials that reduce environmental impact. This was achieved by using carpet, wood and ceilings that had a high percentage of recycled materials.